Radio traditions are based largely on the traditions of vaudeville ("voice of the village"), and those traditions came largely from those of the traditional circus. The term circus recalls the Roman Circus, which were outgrowths of the Greek "hippodromes" ('hippo' for the horse, and 'drome' for race course). The great Circus Maximus was a venue for the violent spectacle of chariot racing, but other circus facilities were designed for gladiatorial combat, re-enactments of great battles, some were even designed to be flooded to stage naval combat. After the fall of Rome, performers such as acrobats, jugglers, minstrels, equestrian acts, animal trainers, and troubadours toured the countryside, putting on shows wherever they could attract a crowd. The invention of the modern English Circus is credited to Philip Astley, who had been apprenticed to his father's cabinet-making business but ran away at the age of 17 to join the 15th King's Hussars, eventually rising to the rank of Sergeant Major. He was also a genius at trick riding and had great fun entertaining crowds in Islington. Astley realized that the problem most trick riders had was that they would ride in a straight line in front of the crowd. This made it hard for the whole crowd to see the act, and the crowd grew restless between passes. In his greatest single contribution to show business, Astley began riding and performing his tricks in a circle or ring. This allowed him to perform continuously and the centrifugal force allowed more complex and spectacular tricks. His reputation grew and he opened a riding school where he taught horsemanship in the mornings and held performances during the afternoon. 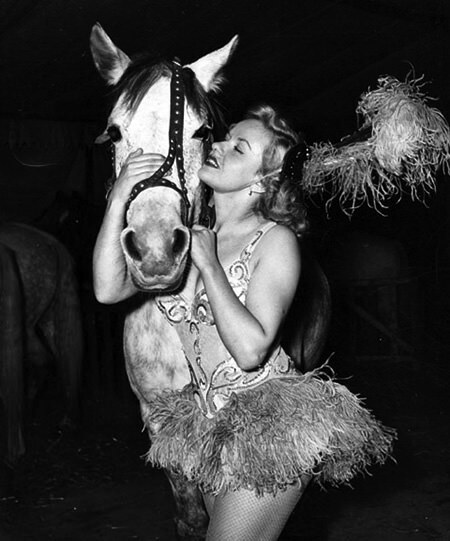 He also hired acrobats and clowns to entertain between the equestrian performances and the modern circus was born. Although he never used the term "circus", some of Astley's imitators adopted the term from the Greek word kirkos for ring or circle. Astley was soon rich enough to build indoor amphitheaters for his performances, including the Amphithéâtre Anglais in Paris. By 1793, there were more than 18 permanent circuses in cities throughout Europe. Scotsman John Bill Rickets brought the first modern circus to America in 1793, setting up a permanent facility in Philadelphia. George Washington attended a performance during the first season. The two great innovations of American style circuses were the sideshow and the Big Top. Phineas Taylor Barnum began taking his collection of oddities from his museum on the road and joined forces William C. Coup to form a traveling circus. Coup invented the innovation of transporting the circus on a special train. After Barnum's death, the circus merged with that of James Anthony Bailey. Early traveling circuses performed in temporary structures or retrofitted older structures which were questionable integrity. A well-made tent was a better solution, and the Barnum and Bailey Circus's Big Top was one of the largest in the world. Although vaudeville acts were close to each other, they tended to travel independently, whereas circus people traveled as a unit. As welcome as their entertainment was, they tended to be treated as outsiders wherever they went, enforcing the notion that "circus folk stick together." This notion became the basis for the syndicated serial Jerry of the Circus. Clyde Beatty joined the circus as a teenager working as a cage cleaner, and eventually became a well-known lion tamer and animal trainer. Soon his fame grew to the point where he was a circus owner, and his fictionalized exploits became the basis of a syndicated radio program. The connection between circus and vaudeville was widely explored by Fred Allen. 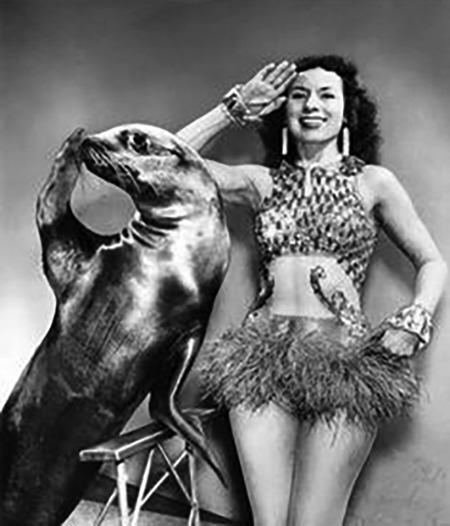 Although he was primarily a vaudevillian before going into radio, Fred had a deep appreciation for circus life and made good use of it in his various programs. The Jumbo Fire Chief Program featured not only circus life but two incredible schnozzolas, Jumbo the Elephant and Jimmy Durante. The drama of life under the Big Top has always made for great stories. 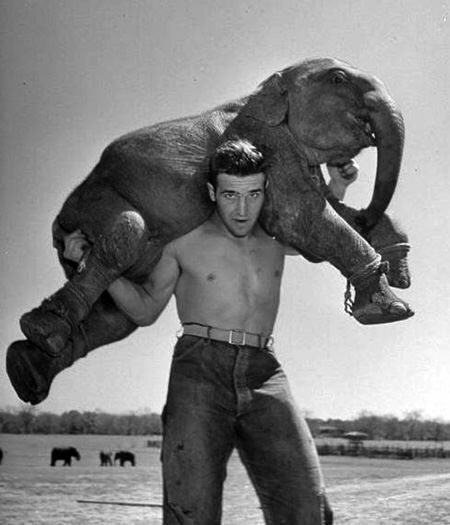 These examples are just the beginning of the great circus stories on Old Time Radio. Be the first to comment on "Circus"